Art show: Union of Opposites, featuring Natan Alexander & K Lenore Siner. June 29th-August 2nd at Gulu Gulu Cafe, 247 Essex St, Salem, MA. Join us at the opening reception on July 17th, 7pm with musical performance by Alec K. Redfearn. 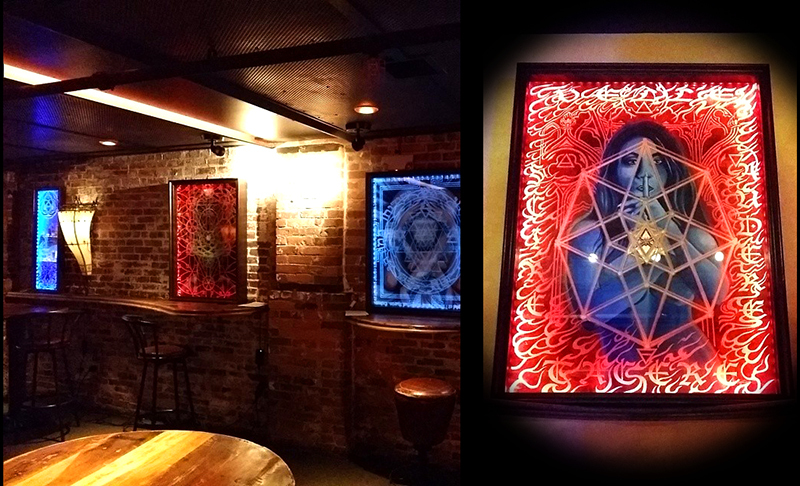 Natan Alexander is an award winning tattoo artist, an officer of the Ordo Templi Orientis at Knights Templar Oasis in Salem MA, and an occult artist working in various mediums in addition to tattooing. He owns and works out of Witch City Ink, Salem’s finest tattoo studio, and Lightwave Tattoos, in Saugus Ma. Once a year, Natan also organizes the Boston Tattoo Convention, the largest international tattoo event in the New England area and now in its twelfth year. 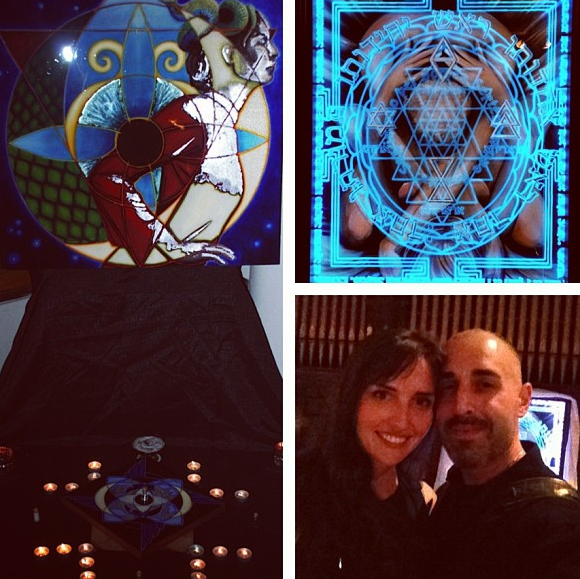 Thelema and magick have been a huge shaping force in his development, both as an individual and as an artist. As a Master Mason for over a decade and a member of the A.*. A.*. , he brings an initiates understanding of the symbolism and inner meanings behind the Art he creates. Natan is a regular and devoted world traveler, researching the origins and energies of the cultures and ideas that inspire his Art. K Lenore Siner is a self taught painter with formal training in 3D Fine Art from the Massachusetts College of Art. She paints using a variety of mediums including oils, wax, resin, ash and herbs. Siner’s imagery comes from a life devoted to spiritual exploration. During the past 13 years she has studied Tantra in India and Thailand, graduated from the women’s mystery school Priestess Path, been initiated into shamanic practices, facilitated all night fire ceremonies, studied plant medicine and is currently honored to be a Lakota Sundancer. Her most recent fascination and area of study is Alchemy and its application to and correspondence with the artistic process.